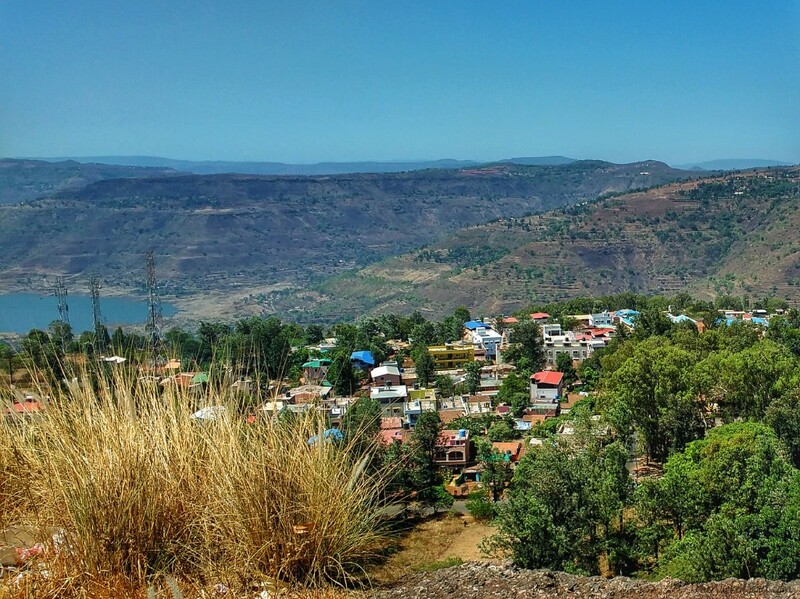 Mahabaleshwar to Mumbaikars is what Manali is to Delhietes the most popular weekend spot. Mahableshwar also known as ‘Queen of Sahyadris’, a popular hill station in Western Ghats of India, Maharashtra is relatively cooler and unanimously popular.When the temperature soars in Mumbai,we pack our bags and google colder spots closer to the city. It’s mid-summer and most of you have already decided your weekend destination. But, if your destination spells Mahabaleshwar, then here is a list of things to do, see & certainly eat during your stay. Visit the land of Strawberries: I will be very blunt from the onset. Strawberries are the biggest reason to visit the “Queen of the Sahyadris” a.k.a Mahabaleshwar. If you crave for strawberries when the season is over, then it’s the right place to visit.The streets here are dotted with vendors selling fresh strawberries, mulberry, blackberry and carrots. Fun fact: Mahabaleshwar strawberry farming contributes to about 85 percent of the total strawberry production in the country.It’s not called the land of Strawberries for nothing. Mapro has become synonymous with Mahabaleshwar just as the strawberries of this beautiful destination have. A beautiful garden located on the Mahabaleshwar – Panchgani Road, Mapro garden is home to an in-house veg restaurant, a chocolate factory and a kids play park. Don’t forget to try the free samples of fresh fruit squashes and stuff your bags with your favorite Jams, Marmalade, Strawberry Chocolate syrups and sauces. The Wood-fired Pizzas and Strawberry and Cream here is to die for. Strawberry and cream is popular throughout Mahableshwar, but they do not taste any better than in Mapro Garden; try it yourself. From mist covered mountains to the sun shining from behind the clouds, every view here is pure magic. There are many viewpoints in Mahabaleshwar to view the gleaming mountain peaks of the Sahaydris but the best one is Elephant Head Point. Beware of monkeys around here. All it takes is a split second for them to dispossess you of your belongings and you’re no match for their speed. Some other popular viewpoints are Elphinstone Point, Arthur’s Seat, Galoni Point, Lodwick Point, Wilson Point, Babington point, Connaught Peak and Hunter Point. You can pick quick refreshments, Kachchi Kairi, Ber & Star fruit to nibble on while trekking to the viewpoints. 4. PratapGad: Pratapgad is the jewel fort of the Sahyadris built by Chatrapati Shivaji Maharaj. This magnificent structure is situated on a hilltop surrounded by beauty and heritage of yesteryear. Trekking all the way to get this view was worth waking up at dawn and enduring a bumpy ride.You can only imagine what it’s true beauty would seem like when you actually stand here with the wind in your hair and feel the warm rays of the early sun on your skin, pure Bliss! 5. Explore the Local Market: Exploring the local market is one of the cliche but fun things to do just about anywhere. A typical hotspot for all tourists, the market sells almost everything from colorful clothing to footwear & handmade arts to woven sweaters. No matter which season you visit, your evening strolls around the market will be interrupted by the tempting aroma of roasted corn or a pot full of corns boiling over. And its not just the boiled/ roasted corns that are famous here. Frankie is available in nearly every city but here in Mahabaleshwar, the patty is prepared using sweetcorn and potatoes. Do try! 7. Boating at Venna Lake: Planning to surprise your loved one with a Romantic date? Take them boating right before sunset and let the magic happen. The Venna Lake is situated a couple of kms from the city centre and is amongst the most popular tourist places in Mahabaleshwar. The lake is 2.5 km long and is surrounded by lush trees on all sides. Boating is not the only fun activity available here; you can also go horse riding around the lake. And if you feel hungry, there are a few small eateries and strawberry stalls lined up at the banks of the lake.8. The Krishna temple is another place of religious importance in Mahabaleshwar. The place where the temple is situated is locally known as “Panchganga” which means “Five Rivers” i.e. Krishna, Koyna, Yenna, Gayatri and Savitri. The temple was built by Raja Singhandeo and later in 1635, the Great Maratha Chatrapathi Shivaji, renovated the temple. Over to you! What’s your favorite thing to do in Mahableshwar?